Radamel Falcao, a Columbian professional footballer currently plays as a striker for Ligue 1 club AS Monaco. He has played for Lanceros Boyacá, River Plate, Porto, Atlético Madrid, Manchester United, and Chelsea. He began his soccer career at the age of 13 and became the youngest player to debut in the Colombian Primera B. He was also captains the Columbia National Team in the 2018 FIFA World Cup. Being one of the most lethal and prolific strikers in European football. Having played for some of the most popular European clubs including Atletico Madrid, Manchester United, AS Monaco, and Chelsea. Having won numerous high profile titles and cup competitions with different clubs including Argentine Primera División, Primeira Liga (Portuguese League), Copa del Rey, UEFA Europa League, and Ligue 1. This young and dynamic, Radamel Falcao was born in Santa Marta, Colombia. His full name is Radamel Falcao Garcia Zarate. He is a Colombian by his nationality and his ethnicity is Multiracial, further, his birth sign is Aquarius. He is popularly called as Falcao or Falcao Garcia or Radamel Falcao in South America. Radamel Garcia and Carmenza Zarate are the proud Parents of this player. Falcao is a second generation footballer after his father who was also a professional Columbian defender. He has two siblings; Michelle Andrea Garcia Zarate, and Melanie Grecia Garcia. He was passionate about the game of football from an early age. Moving towards his education, He had completed his education from his native school and started practicing football in the local ground with the amateurs. As a young footballer, Falcao started his career with the Colombian Categoría Primera B team Lanceros Boyacá in 1999. He was just 13 years of age when he joined the team. Argentine club River Plate bought Falcao in 2001. He played for the 8th Division in the Argentine league. Falcao made his first professional debut for River Plate on 6th March 2005 against Instituto de Córdoba. He won the match by 3 goals to 1. Although Falcao missed on the 2007’s Copa América, he was able to play the tournament for Columbia in 2011. Falcao made 90 appearances for River Plate and scored 34 times in his career with the Argentine club before leaving to Porto in 2009. In September of 2009-10 season, Falcao scored his first Champions League goal against Atlético Madrid. Falcao was also the second highest scorer in the Portuguese league that season with 25 goals and 34 in all competitions. Falcao’s brilliant form continued in the next season. His first hat-trick came in December against Rapid Wien in Europa League and to follow that he scored another set of three goals against Spartak Moscow finishing the match with an outrageous 5-1 scoreline. His performances helped Porto win the league title. Falcao also contributed in the Europa League and won the finals by scoring against Braga. The Columbian had an outstanding record of 41 goals in 51 games with the club. Falcao was signed by Spanish club Atlético Madrid on 18 August 2011 for a hefty price of 40 million euros. He immediately made an impact with his talent in the Spanish league scoring 36 goals in 51 appearances in all competitions. He helped the team to win Europa League and became the first player ever to win the trophy with two different teams in succession. The 2012-13 season started with a bang as Falcao won the UEFA Super Cup scoring a hat-trick against Chelsea and winning 4-1. He helped the team win the 2013 Copa del Rey trophy and scored on many occasions during the tournament to carry the team. Falcao made 68 appearances and scored 52 goals for his brilliant time with the club. Monaco announced that they had bought Falcao on 31 May 2013. In the 2013-14 season, Falcao made 19 appearances and scored 11 goals. However, he suffered the injury in January 2014 and was out until his return in July of the next season. Falcao made the decision to move to Manchester United and was signed on a loan deal on 1 September 2014. He made 26 appearances and scored 4 goals that season. Chelsea signed the Columbian striker later in July 2015, as Falcao looked to improve his form but only managed a brief spell at the English club. He played 10 games for Chelsea and scored only once. Falcao returned to his parent club Monaco in July 2016 and went onto score 30 goals in 43 games in all competitions for the 2016-17 season. He is currently playing brilliantly in the 2017-18 season and has bagged in 24 goals in 34 games. 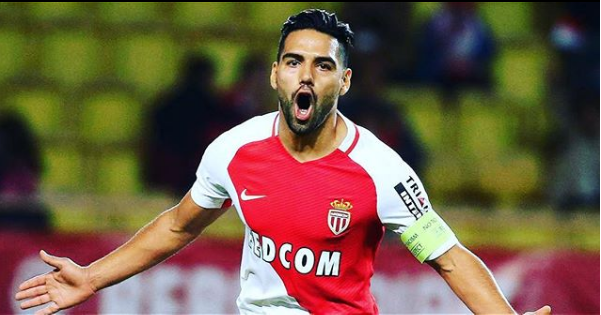 Falcao began the season on a high note during Monaco's first match of the season, assisting Monaco's second and scoring their third in a 1-3 away victory against Nantes. Falcao played the 2011 Copa América for Colombia, he later also took part in the 2014 World Cup qualifiers and was their top scorer. However, Falcao couldn't play in the main tournament because of a serious injury. He played the 2015 Copa América and helped the team reach the quarterfinals of the tournament but unfortunately lost to Argentina in the penalties. Falcao has also taken part in the 2018 World Cup qualifiers against Chile, Argentina, and Uruguay. He has 71 caps for Colombia and is their top scorer with 29 goals. Only player to win two consecutive UEFA Europa League titles with two different teams. With his professional career of 17 years, He earns a fortune amount of salary and is one of the wealthiest players in recent days. As of 2019's stats, his current salary is reportedly around $23 Million with a weekly wage of around $197,633. His net worth is estimated to be $74 million. Similarly, He reportedly has endorsement deals with Panini, Gatorade, Puma, Gillette, and Samsung Electronics. Though the endorsement detail is not disclosed, it is reported that Falcao earns $4 million annually with his sponsorships. Currently, His market value is reported to be $14.31 million as of 2019, while his highest market was reported to be $81 million on January 10, 2013. Speaking about his personal life, Radamel Falcao is not a private person and is open about his relationship status. He is married to his longtime girlfriend Lorelei Taron who is a singer by profession since 2007. The couple is reported to be dating since 2004 soon after they met at a church in Argentina when Laurelei was just 16-years-old. Even after these years, the couple is together without any mishaps in their relationship. The couple is also the parents of their 3 daughters: Dominique, Desiree and Annette Garcia Taron. The couple first welcomed their daughter Dominique Garcia Taron on August 13, 2013, at the Princess Grace Hospital in La Colle, Monaco, later followed by the birth of their second daughter Desiree Garcia Taron in February 2015. The couple welcomed their third daughter Annette Garcia Taron on August 17, 2017. 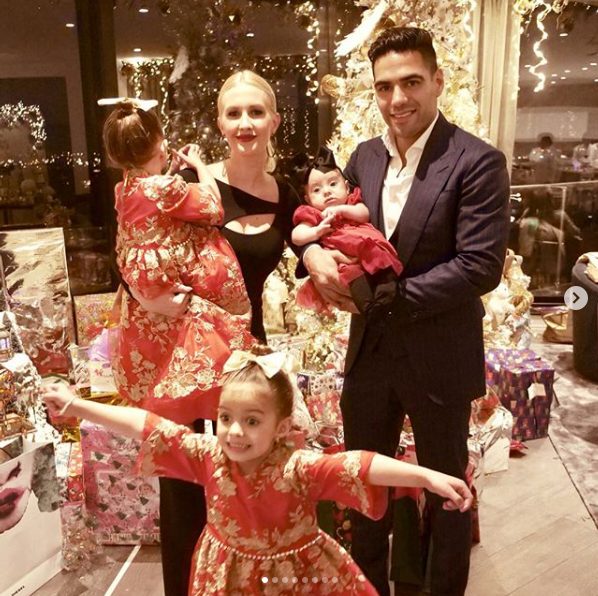 Even though Radamel Falcao is busy with his career games, he manages to spend some quality time with his family. Radamel Falcao cherishes the height of 5 feet 10 inches and body weight 78 kg. Similarly, He has a pair of dark brown eyes and black hair color. Furthermore, his shoe size is 10 (US). In addition, His bicep size is 28 inches and waist size is 90 inches. He began his soccer career at the age of 13. Became the youngest player to debut in the Colombian Primera B. He is also compared to the likes of Lionel Messi and Cristiano Ronaldo who are world class players. He is known for being equally talented with both his feet and has a good aerial presence on the field. Many of Falcao’s goals have come from headers and difficult to take chances.